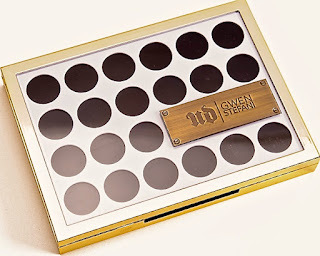 The brand new Urban decay Gwen Stefani eyeshadow palette! 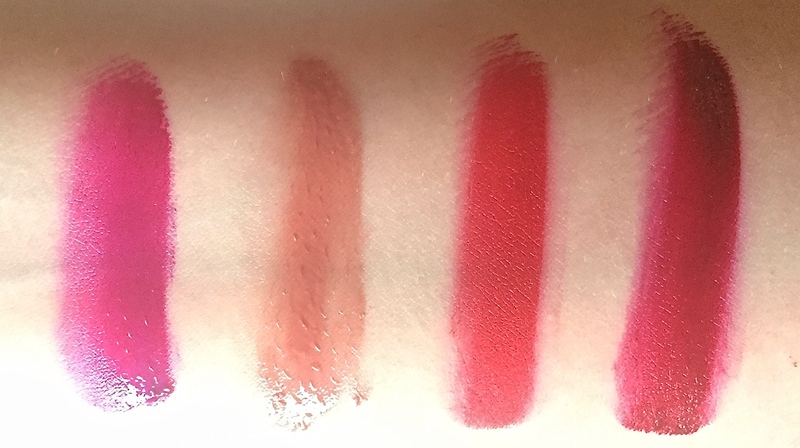 Plus swatches of the Spring 2016 Gwen lipsticks! 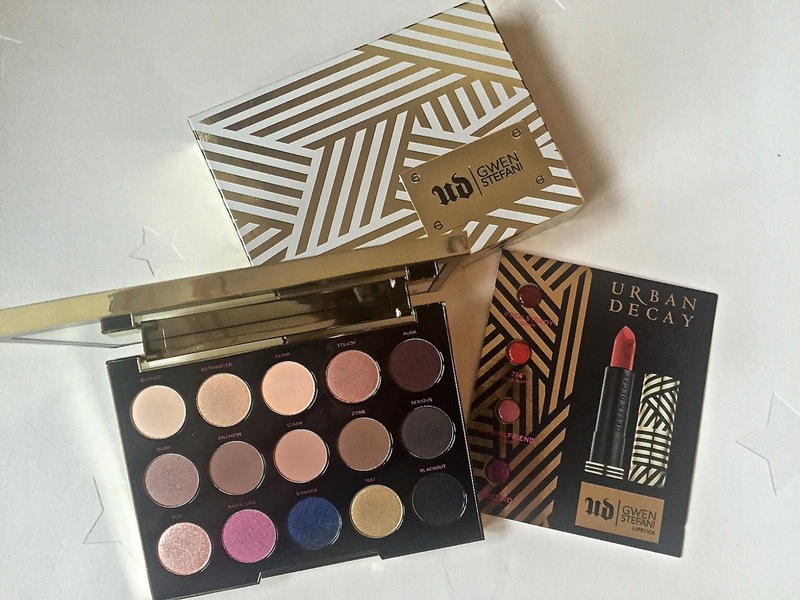 So this is the Urban decay limited edition palette that 5000 people signed up to be on the mailing list for! The Gwen Stefani x Urban decay colaboration palette. Now I have to admit, to me it wouldn't matter who did a colab with Urban decay because I would still want it in my collection. I love Urban decay shadows and have all the Naked palettes which I use daily. First, let's talk about the packaging. This comes in a beautiful case with a magnetic close. If was inspired by Gwen's love of black and white graphic prints with an antique gold accent. One of my favourites, along with the Vice palette. It is bulkier than the naked palettes but you do get bigger shadows inside. There are 12 brand new shades exclusive to this palette and 3 (Skimp, stark and blackout) that are already in the collection. When I first heard about this collaboration I was a bit worried that there would be a lot of bright vivacious colours in this palette to suit Gwen's style and music but apart from the pinky shade, all of the colours are so wearable everyday and I would wear ALL of the them. Let's start on the top row. As I expected, these shadows are great quality, just like the naked shadows. You will not be disappointed in them. There are 5 matte shades and 10 shimmery ones. I particularly like baby and pop. They are perfect shimmery shades for the Christmas season. Now here's a sneaky peak at some more exciting launches in Spring 2016.